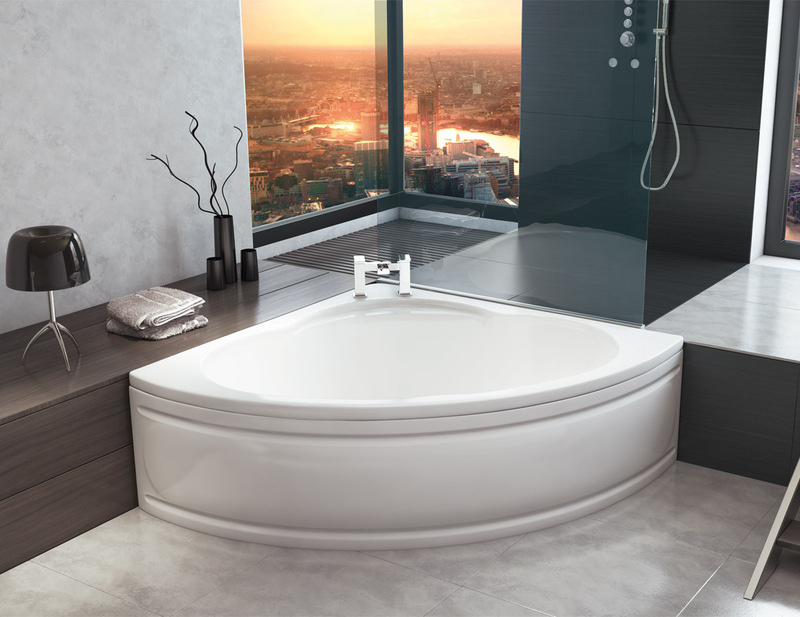 The Stunning Range Of Corner-Baths From VIP Provide The Best Of Both Worlds. The VIP Bathrooms range of luxurious corner baths are available in a variety of sizes and styles, so it’s easy to find one that will be the perfect choice for your home. 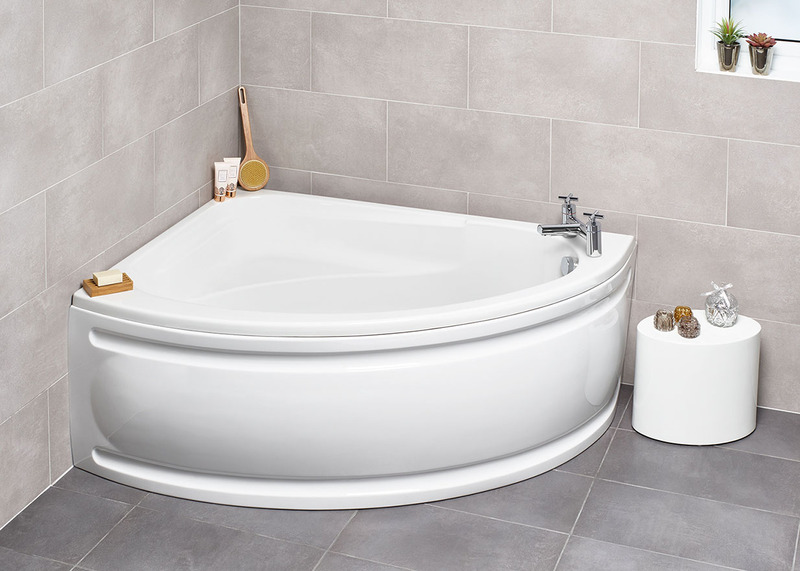 Because they fit into the corner so well with a rounded front, they don’t take up much more floor space than you would if you were installing a shower, which means you save space in your bathroom and still have a large, spacious bath to relax and unwind in. Our corner baths are available in either Offset or True types. Offset means that the sides are different sizes. True means that both the straight sides are the same size.